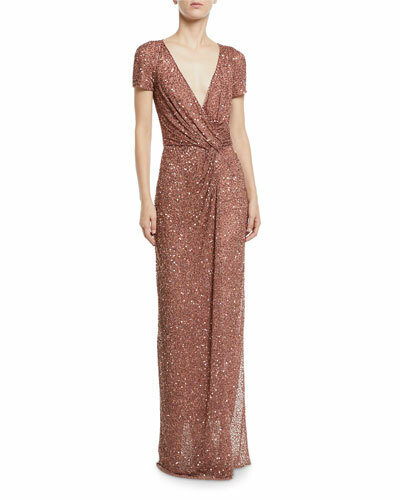 Jenny Packham launched her eponymous label in the U.K. in 1988, establishing herself as one of the most recognized independent fashion designers. Renowned for expert craftsmanship and elegant details, Jenny Packham gowns feature the finest crystals, beads, tulle, lace, and sequins, whether you want something light and airy or deep and sultry. 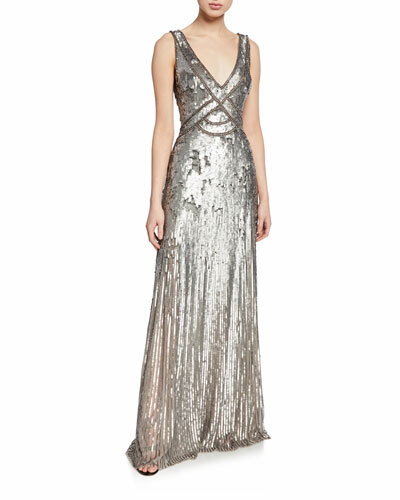 Sparkling and diaphanous cocktail and occasion dresses are worthy of the red carpet, or your next party. 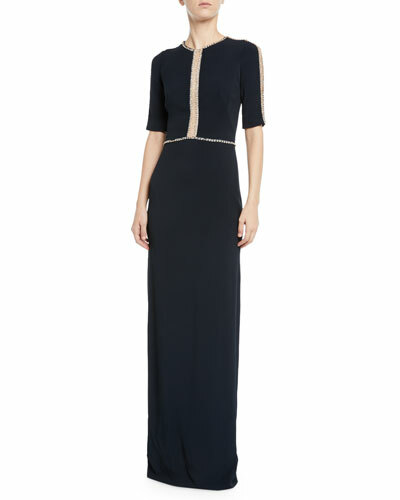 Stand out in the best way with dramatic, show-stopping eveningwear from the British designer with decades of experience making women feel special. 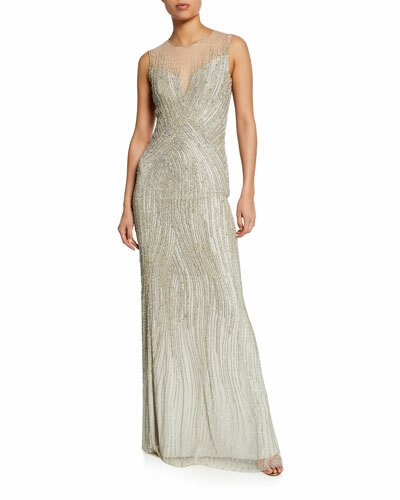 Shop a selection of Jenny Packham dresses and gowns at Bergdorf Goodman. Exclusively ours. 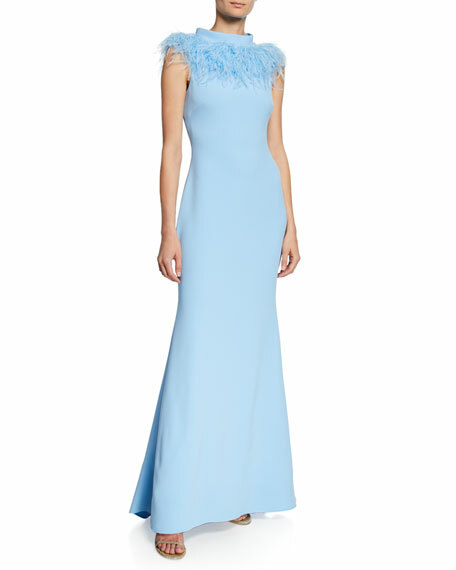 Badgley Mischka Collection gown with dyed ostrich feathers accenting the neckline. Approx. 61.5"L from shoulder to hem. Mock neckline. Sleeveless. Mermaid silhouette. 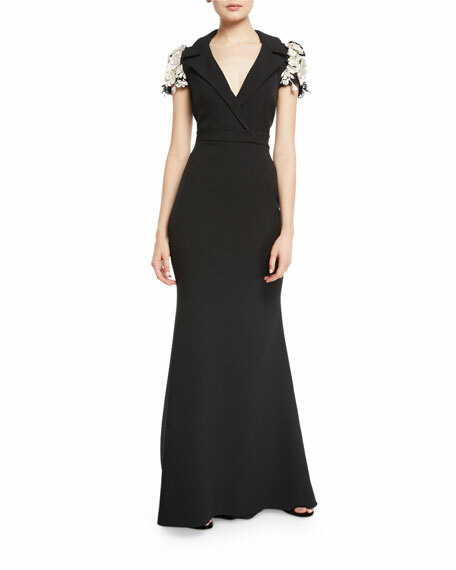 Floor length hem. Slight train at back. Hidden back zip. Polyester/spandex. Polyester lining. Imported. Exclusively ours. 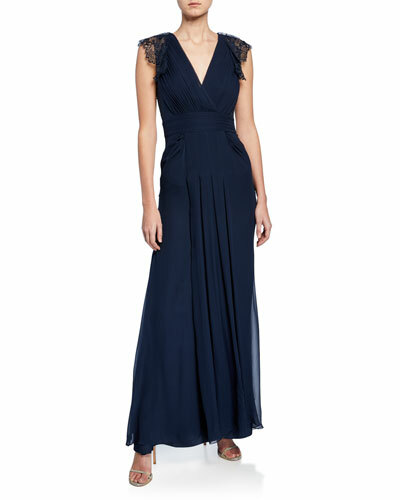 Badgley Mischka Collection coat-styled gown. Notched lapels; double-breasted front. Sleeveless. Waist flap pockets. Bodycon silhouette. 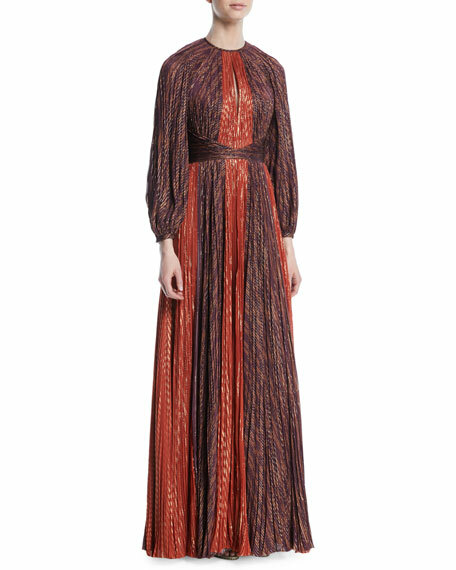 Floor length hem. Hidden back zip. Polyester/spandex. Polyester lining. Imported. 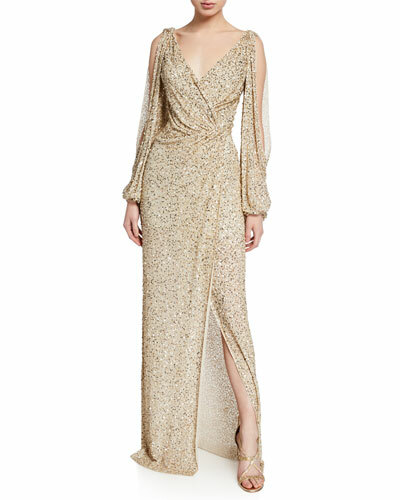 Badgley Mischka gown in butter crepe with floral-embellished sleeve. Notched lapel; V neckline. Short sleeves. Slim through thigh. Flares at knee. Floor length. Back zip. Polyester/spandex. Lining, polyester. Made in USA of imported material. 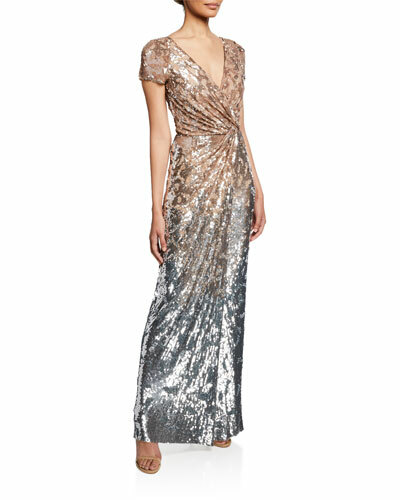 J. Mendel colorblock metallic chiffon pleated gown. Crew neckline; keyhole front. Long sleeves; banded cuffs. Crisscross waist. Zip back. Floor-length hem. Silk/polyester. Silk lining. Made in USA of imported material.